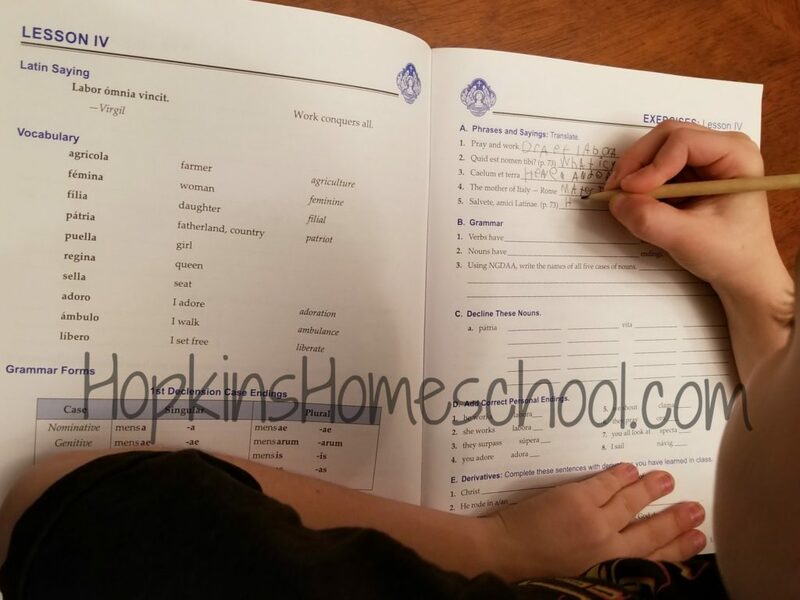 Learning a new language is one that I really want to make sure my kids know how to do. I decided last year that I would really like Ray Ray to work on learning Latin and Memoria Press has made that available to us with Latina Christiana. Latina Christiana is an introduction to First Form Latin, which I can’t wait to use when we are done with this. 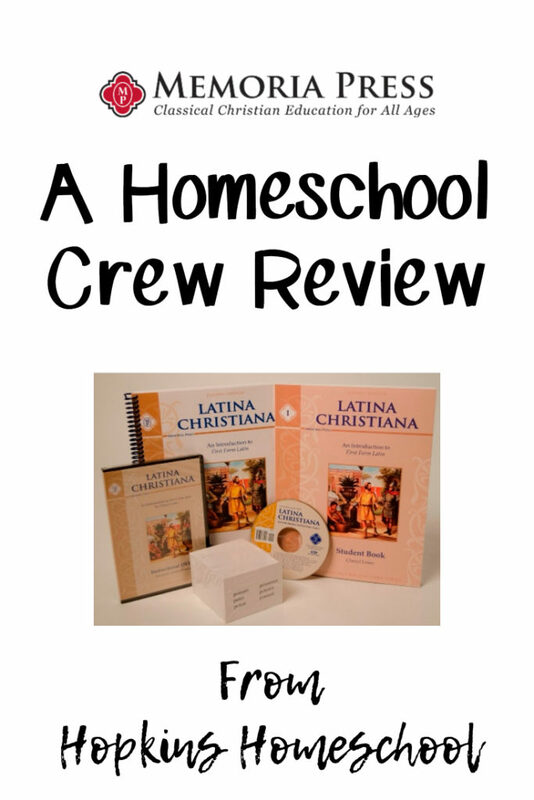 For this review, we received the Student Textbook, Pronunciation CD, Teacher Manual, Flashcards, and DVDs. I even went ahead and got the lesson plans for using this over 2 years. The Student Book is a consumable book that is intended to be used for one student to write in as you go through the lessons. 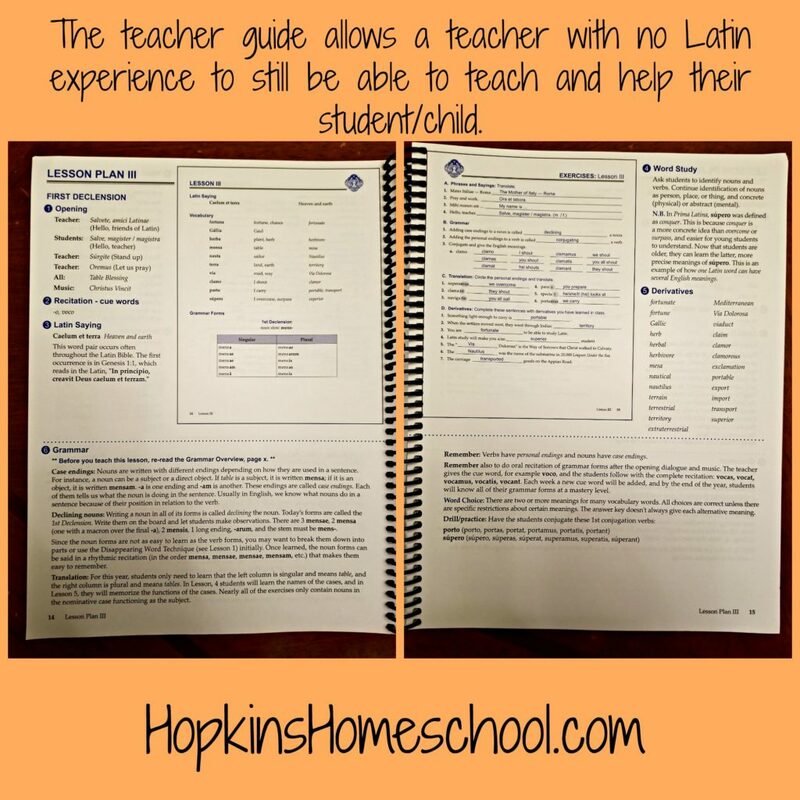 All of the lessons are presented on DVD so even a mom like me with no Latin knowledge will be able to teach their child Latin. The Teacher Manual has all the answers and notes on how to teach the lessons. This made it possible for me to teach Ray Ray the lesson if he was having an issue in between lessons. The Pronunciation CD helped us practice our new vocabulary words during the week after learning them during the lesson. We were also able to use the Flashcards to practice words and meanings. 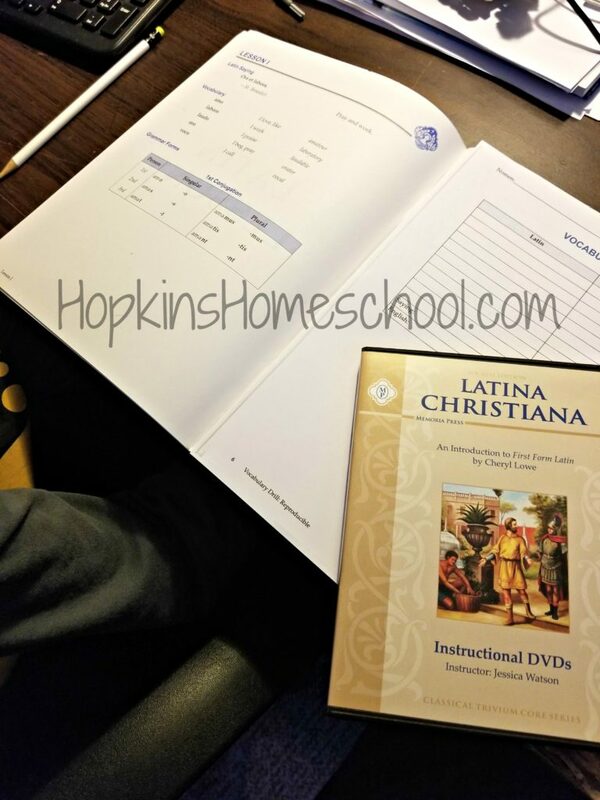 The Flashcards work with both the Prima Latina and Latina Christiana curriculums. 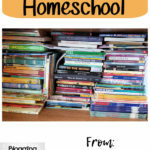 Using the lesson plan for this curriculum, helped me to figure out what to do and when. I like that there are two options to use this curriculum for 1 year or 2. While we went with the two-year plan, we also added in more practice work. Using the two-year plan, we would take two weeks for each lesson and these weeks would be split up into three days a week. I did change this a little and added some extra practice on the days when we had nothing on the lesson plan. Our lessons would start out with watching the DVD lesson. This is where we would learn the new vocabulary words. If you went all the way through the DVD lesson, you would also learn about grammar, but we split these up between two days. After learning our vocabulary words, we would spend the next couple of days working on them. Whether it was in the student book, the flashcards, the vocabulary drill sheet or listening to the pronunciation CD. As we progressed with the vocabulary, we added in the grammar side of the lesson. This included watching the rest of the lesson the DVD and finishing up working on the exercises in the student book. 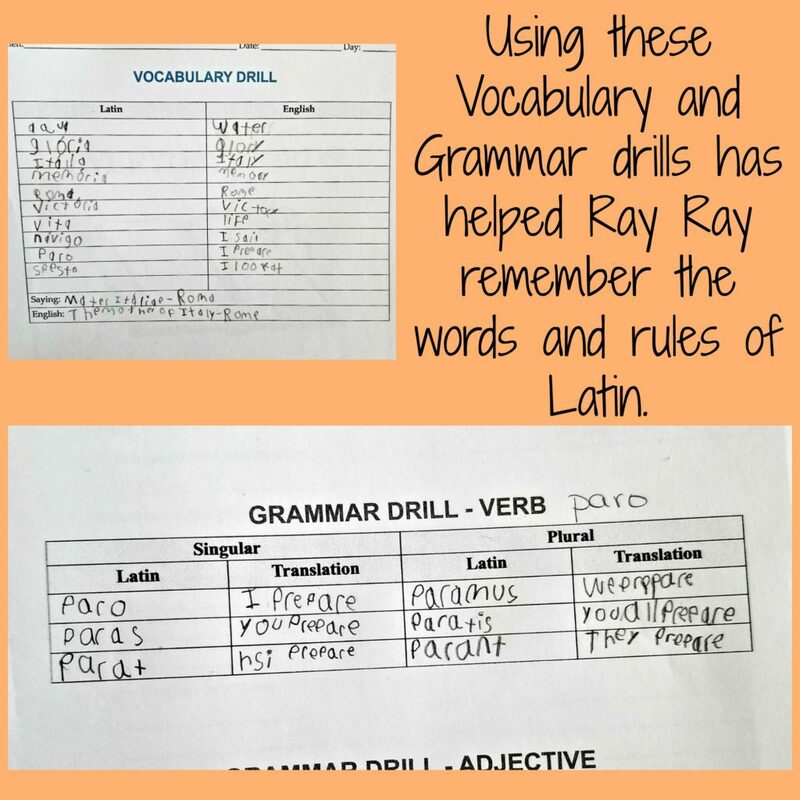 There are also grammar drill sheets that are similar to the vocabulary drill sheets that we would work on. Finishing up our lesson, we would work on the quiz for the lesson. After every five lessons, there is a review. 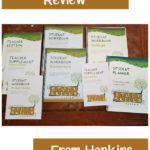 These reviews cover everything that was taught in the 5 previous lessons. 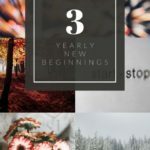 As we are starting our first review, I am able to see what Ray Ray remembers and what we need to spend a little more time working on before we jump right into the next set of lessons. I was thoroughly impressed with this curriculum. 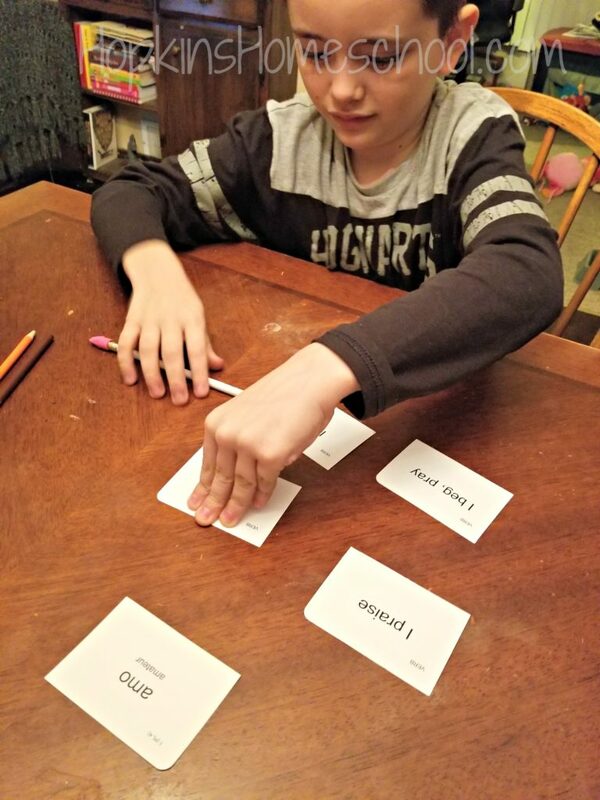 Everything is geared towards the child being able to work independently on the lessons if needed. This was also great for me not knowing Latin enough to teach it confidently enough. I was a little shocked at how fast the Latin teacher moved on after asking the questions on the DVD. This was frustrating at first, but I caught on when to pause so that Ray Ray could answer and we could move forward from there. The student book is very well set up. The vocabulary and grammar for the lesson are on one page, and the exercises are on the adjacent page. There is not a lot of flipping back and forth, which took away any hassles. The back of the student book is full of wonderful appendices that I will often find Ray Ray lost in at the end of his lessons. He loves to just look at the whole picture instead of one lesson at a time. The teacher book is my best friend during these lessons. While Ray Ray could be doing these mostly on his own, I love to sit and follow along. I also love to take notes about what I see when he is doing the lesson. If I notice he is having an issue with something, I can mark it, and this reminds me of what we need to work on during our slow days during the week. 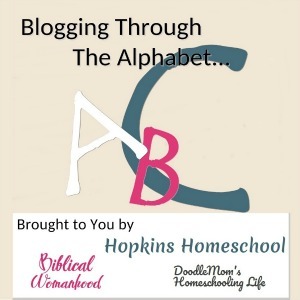 This is a curriculum that is easy for mom and student to use and learn from. This gave me what I was looking for in a second language for Ray Ray to learn and it was simple enough for him to pick up on. Being simple, it also helped to encourage him to keep using it and not being worried about the harder parts. I can’t wait to finish this and move him up to First Form Latin! Memoria Press has many products available, and some other fun ones were available to review. Check out what the other families had to say by clicking the image below. 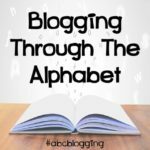 I know I want to know more about the Traditional Spelling programs for Little Miss!